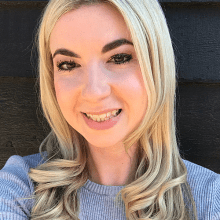 Following Google’s March 2019 Core Algorithm Update (catchy name, right?) and a significant failure in relevant information communication, March has been proven to be an eventful month for SEO so far! 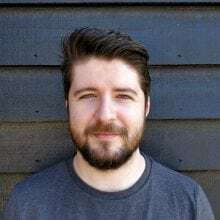 The March 2019 Core ranking algorithm update has created a lot of buzz in the last few days, with many people thinking it was a rollback of previous algorithms, to it being dubbed as “Google’s biggest update ever”. Both of these rumours (and a few of the others heard so far) have pretty much all turned out to be untrue. I won’t lie, this update does feel like a rollback. So far, the data seems to show that sites which had suffered traffic and SERP losses in previous updates seem to have now regained what they lost (and some have even benefited further). Because previous “losers” are now “winners”, so to speak, it’s understandable to think we’re in rollback territory. However, I have this nagging impression that Google doesn’t roll back their work, they just fine-tune it. The only real message so far is that they’ve named the update. It was previously being called “Florida 2.0” in the industry, which lead people to believe that this update is related to the previous Florida update – it isn’t. Yesterday, Google announced that they had retired ‘rel=prev’ and ‘rel=next’ as an indexing signal. Not just that they’re going to retire it, but that it has already been retired! John Mueller piped up by stating that Google haven’t used it for a number of years. Really? But we thought Google hadn’t used it for a number of years, John?! Honestly, not a whole lot. Definitely don’t go trying to purge any existing code just because Google have said they don’t use it. Rel=next/prev are still a part of the HTML Specification and won’t be going anywhere soon. The only thing this seems to have caused so far are a lot of disgruntled SEO-ers. Not because Google got rid of something, but mostly because it’s been ignored for ages and Google failed to tell anyone. It increasingly seems that when Matt Cutts was in charge, everything was a bit more transparent. 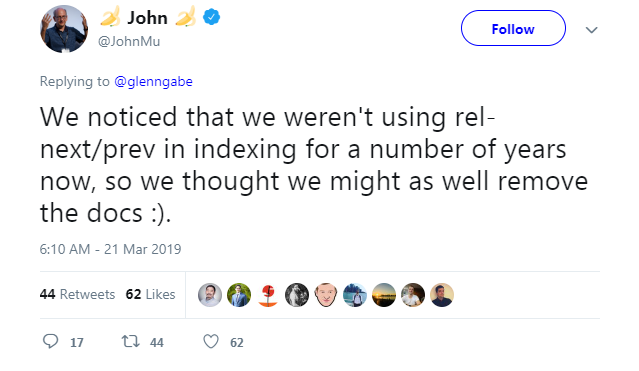 If people like John Mueller (Google’s Senior Webmaster Trends Analyst) are giving out inaccurate advice, what does that mean for the rest of us? This weekend, there was a bit more about this story. Google apologised for any confusion they caused, admitted it was an oversight and said they aim to communicate these changes better in the future. They also updated in a webmaster hangout, that while they may no longer use rel=”prev” and rel=”next” for search, other browsers and search engines do, so it is worth keeping. 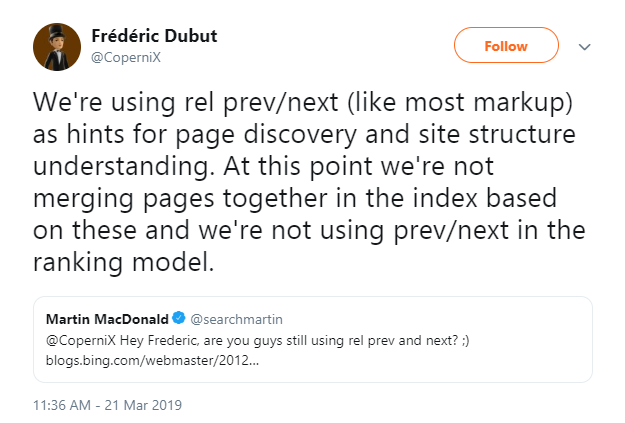 Frédéric Debut from Bing updated the community as well (they use rel=”prev” and rel=”next” for discoverability and understanding site structure.